After a bevy of challenges that took social media by storm recently, here's another one that will inspire people to stay fit! 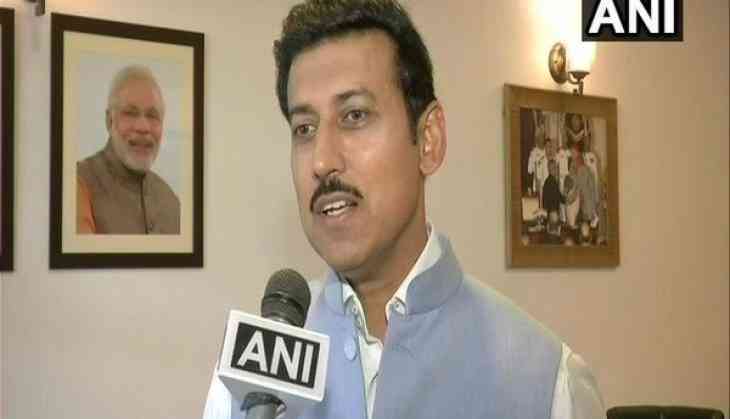 Union Minister of Youth Affairs and Sports Rajyavardhan Singh Rathore on Tuesday took to his Twitter handle to urge Indian citizens towards adopting a fitter lifestyle. While inviting Indians to post pictures and videos of their fitness attempts, Rathore also appealed to Indian cricket team skipper Virat Kohli, ace Indian shuttler Saina Nehwal and Bollywood Hrithik Roshan to join in the effort and be aspiring role models for others. "#HumFitTohIndiaFit Post pictures and videos of how you keep yourself fit and send a #FitnessChallenge to your friends on social media. Here's my video and I challenge @iHrithik, @imVkohli & @NSaina to join in," Rathore tweeted. Along with his tweet, Rathore also posted a video of himself wherein he could be seen speaking about the significance of fitness as stressed by Prime Minister Narendra Modi before he went down to do ten push-ups. "Whenever I see Prime Minister Narendra Modi, I get inspired by him. He has a lot of energy. He is working all day long. He wants to see India fit. So, I am getting inspired by him and taking some time off my work to engage in some fitness activities," the former 2004 Olympic medalist said in his video. Rathore's fitness challenge comes a week after he replaced Smriti Irani as Minister of State (Independent Charge) in the Ministry of Information and Broadcasting (I&B).